This year, superhero movies had a strong presence at the Academy Awards®. Ryan Coogler’s BLACK PANTHER earned several Oscar® nominations, including the highest honor, a Best Picture nomination. AVENGERS: INFINITY WAR was also nominated for its Visual Effects, while SPIDER-MAN: INTO THE SPIDER-VERSE took home the gold for Best Animated Feature. The Oscars finally recognize comic book properties as fine art, but that hasn’t always been the case. And if you trace recent history back, it was Christopher Nolan’s THE DARK KNIGHT that’s largely looked at as the movie that changed the tide. 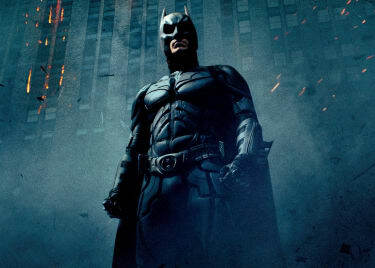 Nolan’s THE DARK KNIGHT will play as part of a trilogy event that’s celebrating Batman’s 80th anniversary. The director will attend the back-to-back screening held on Saturday, March 30, at Universal Cinema AMC at CityWalk Hollywood, where he’ll conduct a Q&A. 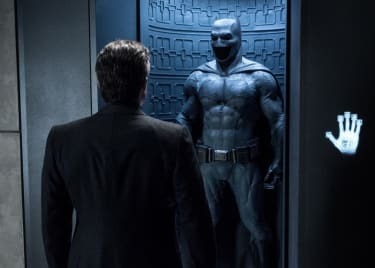 While Nolan relaunched the BATMAN movies with his dark, somber and serious BATMAN BEGINS, it was the sequel — 2008’s THE DARK KNIGHT — that made the film industry sit up and pay closer attention to the storytelling being used in the comic book genre. Yes, Richard Donner’s SUPERMAN was a respected entry in the genre. But for the most part, comic book films were looked at as blockbusters that had little merit as Oscar films. Nolan’s approach to the material helped change minds, in that matter. 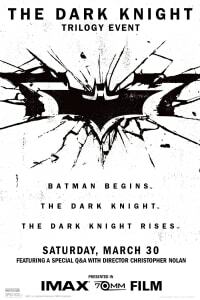 THE DARK KNIGHT took a layered look at the crime syndicates of Gotham, piecing together a thriller that had more in common with Michael Mann’s HEAT or Francis Ford Coppola’s GODFATHER films than it did with other superhero counterparts. The standout, though, was at the time and continues to be Heath Ledger’s performance as Batman’s chief antagonist, the Joker. Ledger disappeared into the difficult role of the anarchist, someone who just wants to watch the world burn. Ledger’s Joker doesn’t care if Batman triumphed over the crime lords of the city or if they succeeded in unmasking the Bat and bringing him down. He was merely an agent of chaos, an unpredictable thorn in everyone’s side, and Ledger’s portrayal of the classic comic bad guy instantly became memorable and iconic. The Academy took notice. THE DARK KNIGHT received eight Oscar nominations and won two, including a Best Performance By an Actor in a Supporting Role trophy that was handed to the family of Heath Ledger, as the actor died before the ceremony. But the impact of THE DARK KNIGHT and its success continues to be felt. Because the movie was denied a Best Picture nomination that year, the Academy reworked its rules. 2009 is the last year that the Oscars had a maximum of five movies in its Best Picture category. The rules were switched so that, from that point forward, up to 10 movies could be nominated for Best Picture and no less than five. This was a direct result of THE DARK KNIGHT snub. Does this mean that BLACK PANTHER owes its nomination to THE DARK KNIGHT? Not directly. BLACK PANTHER is still an excellent film and a game changer in its own right. 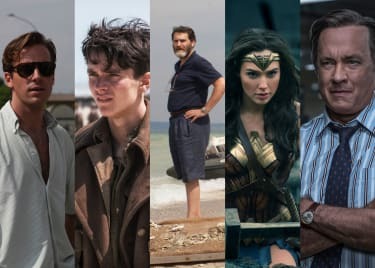 But revisiting THE DARK KNIGHT reminds us of how it pushed the envelope for the types of movies that could be told in the superhero genre, and that impact is still being felt today in movies like CAPTAIN MARVEL, SHAZAM! and AVENGERS: ENDGAME.